Between the Indiana cities of Noblesville and Cicero in Northern Hamilton County, lies beautiful Morse Reservoir. 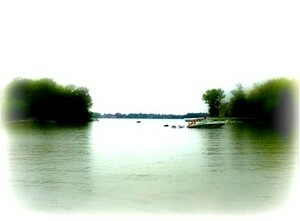 Just 45 minutes north of Indianapolis, Morse Reservoir covers 35 miles of shoreline and 1500 acres of water. The Cicero and Noblesville homes on the lake range in price from $200,000 to $1,000,000. Living on Morse is comparable to being on vacation. Morse Lake Park & Beach in Noblesville offers plenty of room for frisbee throwing, picnicking, and even swimming on the man-made beach. Further north in Cicero, Red Bridge Park consists of a clubhouse and the Cicero Public Pool. For golf enthusiasts, Harbour Trees Golf Club in North Harbour of Noblesville offers a challenging 18-hole course. Two different school corporations serve the Morse area. Students on the north side of the lake in Cicero are part of the Hamilton Heights School Corporation. On the south side in Noblesville, students attend schools within the Noblesville Schools district. The beauty and excitement of living on Morse Reservoir in Hamilton County provides residents with a fun and relaxing lifestyle.